Plastflute is top manufacturer for PP Hollow Board, Futureboard, Polypropylene Corrugated Box, ESD Corrugated, Coroplast, Corostat, Corpac, Correx PP Corrugated Box, PP Corrugated Board, Polypropylene Corrugated Box, PP Sheet, PP Hollow Sheet and PP Hallow Board. 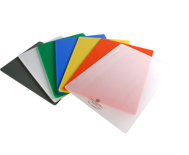 Plastflute Manufacturing is world-class manufacturer of twin wall hollow plastic sheet and finished plastic products. Plastflute is a highly reputable company that prides itself on its flawless customer service record and commitment to providing high quality products. 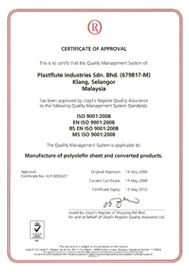 Plastflute is Malaysia?s leading producer and exporter of twin wall polypropylene and twin wall polyethylene sheet and fabricated products. We comply with the high standards set by our Australian directors and shareholders for service and performance. Copyright © 2019 by Plastflute Manufacturing Sdn Bhd All Rights Reserved.